Being wait-listed at your dream college can be heart-breaking. Sadie, a Santa Monica High School student, had her heart set on attending the University of Wisconsin and she believed no other school would do! Many students are in this position, with a dream school that is within reach but with no backup plan. When you are wait-listed for your number one college, is getting off the college wait list possible? Over the course of the year I worked with her, I assisted Sadie in countless ways, focusing on two very important things. First, I helped her complete a realistic college list, and showed her how other colleges could also help her accomplish her life goals just as much as Wisconsin. Second, we didn’t give up on Wisconsin at all: I helped her put together the best possible application for Wisconsin. Sadie applied to the colleges on her list and she was accepted to 7! Unfortunately, Sadie was wait-listed at Wisconsin. When I learned she was wait-listed, I contacted a UW admissions representative, and we discovered a glitch in Sadie’s application. 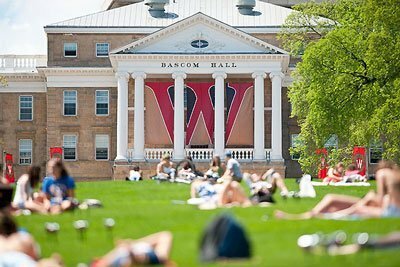 Sadie and I worked together to fix the glitch, and draft a letter to the UW representative confirming that Wisconsin was still Sadie’s top choice, and she was pulled off the wait list just days after the deposit deadline. Her mother sent her thanks for my work with helping her daughter realize her dream. Most colleges don’t rank their wait list. Students are put on the wait list when they qualify but the admissions quotas are filled. Is there a trick to getting off the college wait list? Sometimes it’s about understanding the process, and what students colleges are looking for.Sometimes it’s about putting in that extra effort, like making contact with the Admissions Rep. In Sadie’s case it was all three. Sadie’s parents were so pleased with what we did for Sadie that we are now working with Sadie’s younger brother, a senior at Santa Monica High School. At Magellan College Counseling, we prepare our students for every part of the college application process. Are you or your child having a tough time applying to college? Contact us and let’s see how we can help. Application Season Begins for the Class of 2017!